Blekko vs. Google: Which is a better Search Engine? For most people who want to do an Internet search, Google is the only service really worth considering. The search engine has been the de facto standard for Internet searches for many years, although a number of other services have begun to offer some stiff competition. One of the most visible of these is Blekko, and it is this service that we compare against Google in this comparison article. Blekko is an Internet search engine that was established with the aim of providing better search results than those provided by Google. The search engine delivers results obtained from as many as 3 billion trusted websites, and it typically excludes content from sites such as content farms. Google is a multinational public corporation that is known primarily for its search engine, cloud computing, and advertising services. The company also hosts–and in fact develops –its own Internet services and products. Google generates profits primarily from AdWords advertising. Blekko is markedly different from other search engines in that it aims to filter out spam-like sites that often feature irrelevant results at the top of the results pages. The editors of the company have identified certain search topics that are particularly prone to spam, some of which are health and medical concerns, cars and travel related concerns, finance, education, and even recipes and song lyrics. Users of Blekko may be able to minimize spam content by using the “slashtag” search option. Google for its part indexes billions of web pages on the Internet, thereby enabling users to search for information via keywords and operators. Over the years, the company has expanded its basic search engine services to include image searches, news (via the Google News search site), maps, and a lot more. The company also launched Google Video in early 2006, which enables users to upload and watch videos as well as search for them. In 2009 however, Google Video effectively discontinued uploading capabilities in order to refocus on their search engine services. 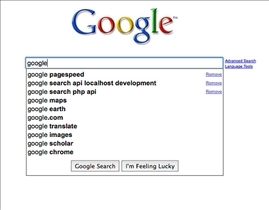 Blekko and Google were recently subjected to a test that pitted them against each other by way of 100 common searches. The test queries covered a wide range of different categories, including people, places, current events and school homework. In order to test Blekko’s claimed human-driven superiority over Google, a number of other categories such as personal finance and health were also included. So how did the two fare? Interestingly enough, the much touted human-driven capability of Blekko didn't amount to much, and Google still managed to earn a relevance score of 57 over Blekko’s measly 14. While this doesn't necessarily mean that Blekko's search algorithm is entirely worthless, it does show beyond a shadow of a doubt that Google is still the superior search engine in terms of providing relevant results, in spite of its shortcomings. Thank you for the good writeup. It in reality was a amusement account it.Very nice comparision and also very unique information.Difference between Blekko and Google is so unique.Anxious to hear the rest of your findings. 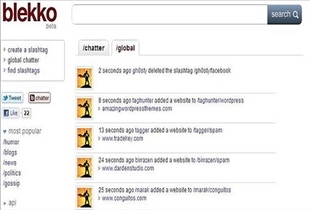 Blekko is a new search engine that uses slash tags to narrow down your search range. The first big difference between Blekko and Google Search is that , you have to be sign in to your Blekko account to use it. The strength of Blekko is the ability of each individual to manipulate search the way they like. Blekko does however allow you to do something that Google does not and that is create your own slash tag algorithm. Dofollow vs. Nofollow: What's the difference? SEO vs. SMO: Which is better? White Hat SEO vs. Black Hat SEO: What's the difference?